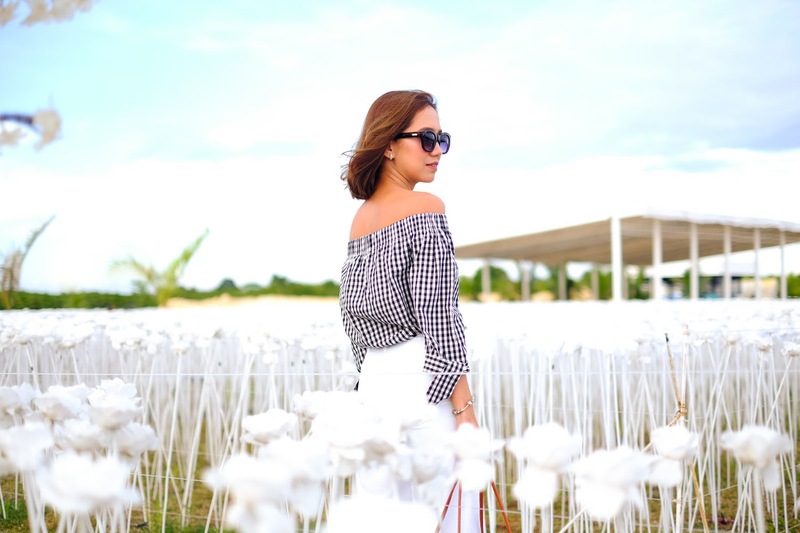 Gingham made quite a mark this Summer and with how things are going, it's pretty obv that we'll be seeing more of it in the coming months-- and I don't see why not. 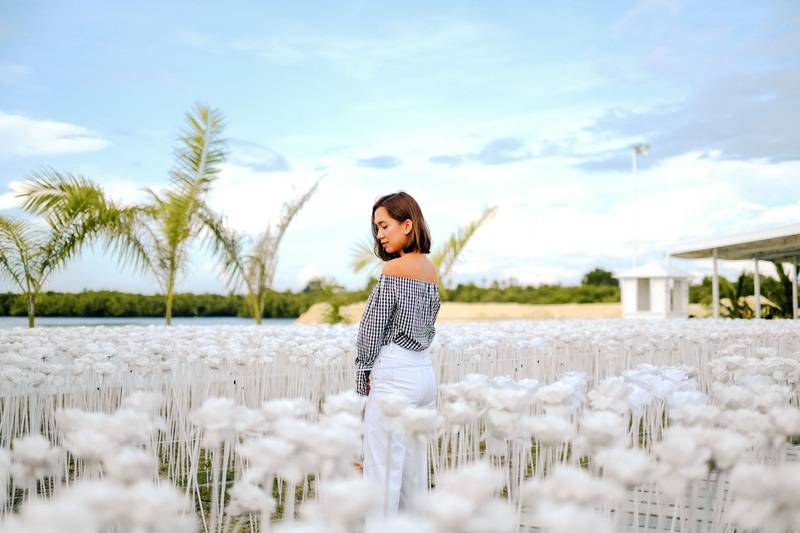 With it's bold and edgier pattern, it gives your wardrobe a fresh update, making it a great alternative to Summer's mainstays; the florals and the nautical stripes. 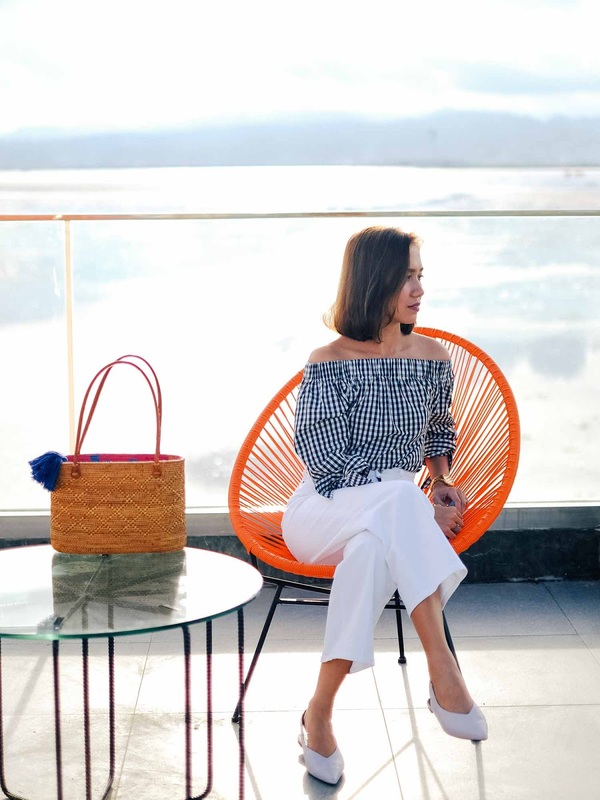 And because Gingham is such an easy print to incorporate into your wardrobe, styling it is also fuss-free! You can go maximalist in gingham co-ords in different colors or go slow in gingham top or with a gingham print purse. 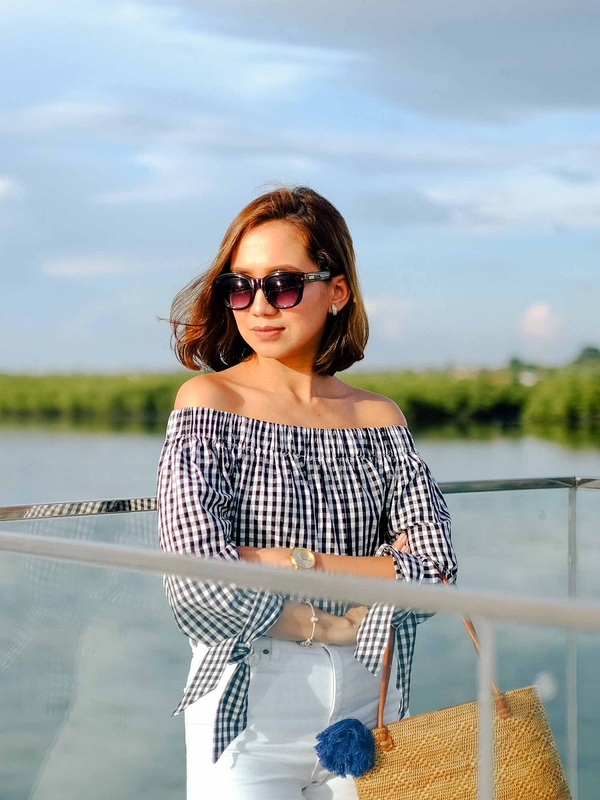 For me, nothing could be more trés chic than this Promod Off-the-shoulder gingham top-- and rightfully so because Promod is French, mon amie. 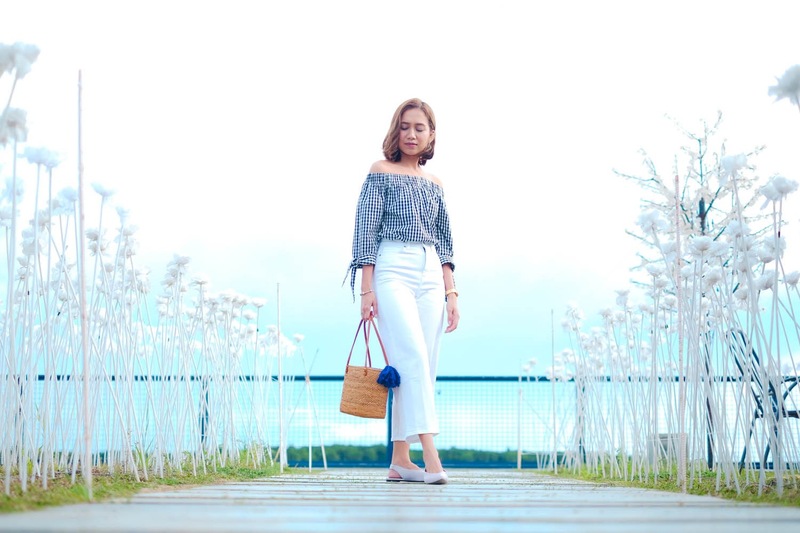 Paired it with a pair white high-waist jeans because high-waist is lifer. Geez. All these millennial one-liners are rubbing off on me. Haha! Going back.. I guess it's safe to say that I found me a new summer staple that I will be reaching for more often every Summer. 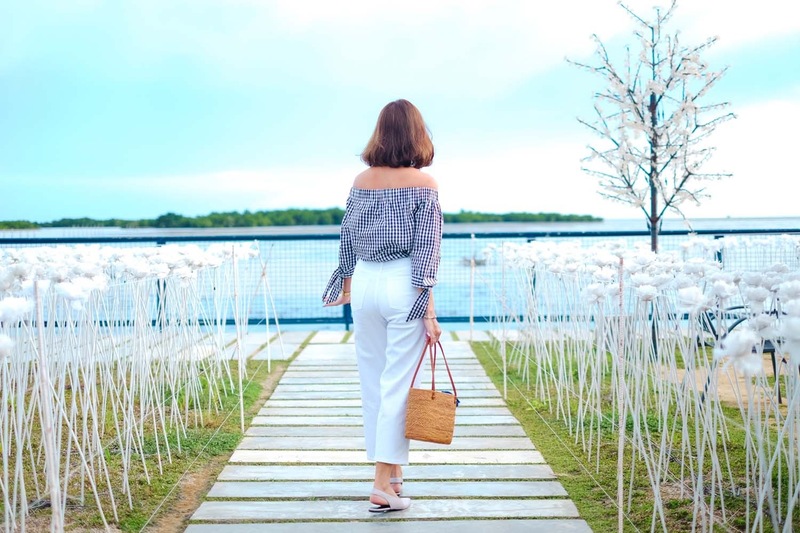 Oh and, let's not forget a pretty wicker bag too to soak up some real Summer vibes, yes? 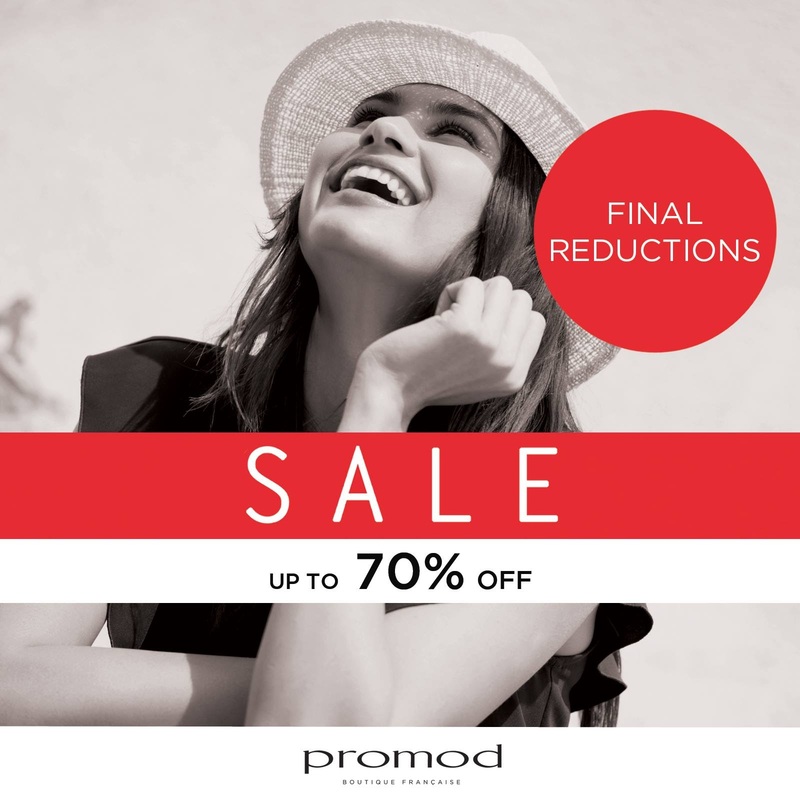 Catch Promod's all out END OF SEASON SALE and enjoy discounts of up to 70% off! FINAL REDUCTIONS until the 15th of July only!